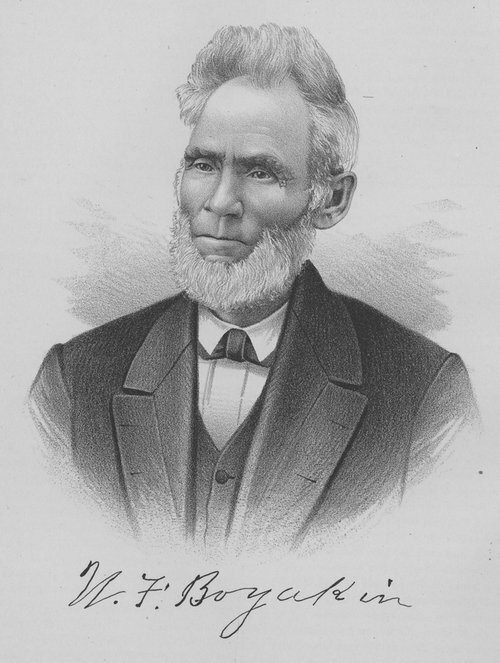 This is an engraving of Dr. Williamson Franklin Boyakin who settled in Marysville, Marshall County, Kansas, in 1868 and opened a medical practice. In 1874, he was elected coroner of Marshall County and a few years later he was elected County Superintendent of Schools. In addition to medicine, Boyakin studied law and was a Baptist minister. The engraving was copied from Portrait And Biographical Album of Marshall County, Kansas.